Lung Cancer Awareness bracelet is an excellent way to show your support for lung cancer. This bracelet comes in a standard 8" adult sized bracelet. 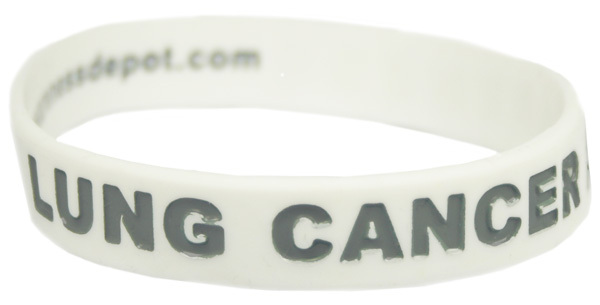 This lung cancer awareness bracelet is white with gray letters and says "LUNG CANCER AWARENESS" on the bracelet. This picture shows a front and side view.